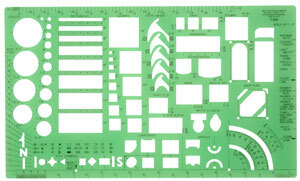 The Westcott C-Thru Architectural Template incorporates the symbols most commonly used by architects, engineers, and builders. 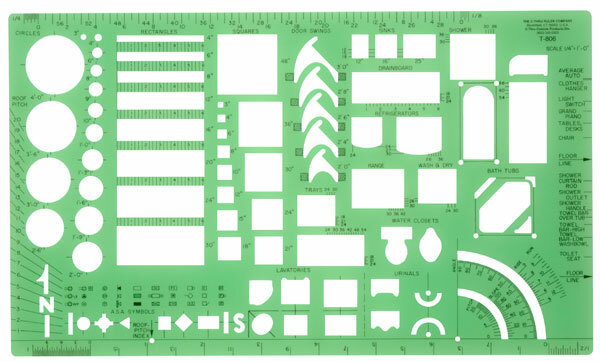 Made from durable, flexible, translucent green plastic, the template’s scale is ¼" = 1 ft. It measures 6" × 10".